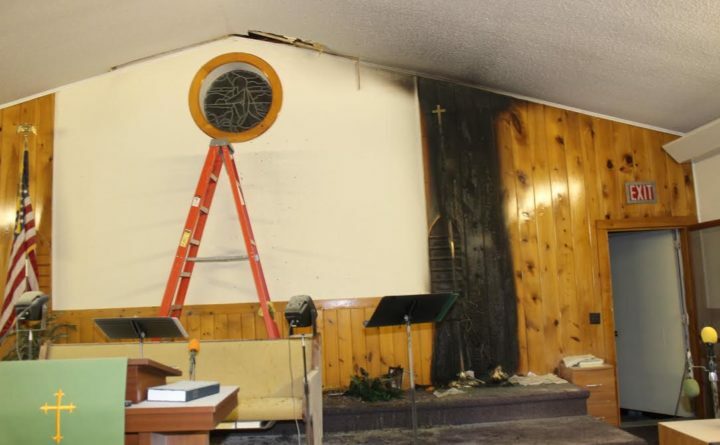 This image distributed by the Maine State Police shows fire damage inside the Church of the Nazarene in Millinocket from last June. A Millinocket man pleaded not guilty Friday at the Penobscot Judicial Center to burglary and arson charges in connection with a fire at a local church last June, according to the Penobscot County District Attorney’s office. 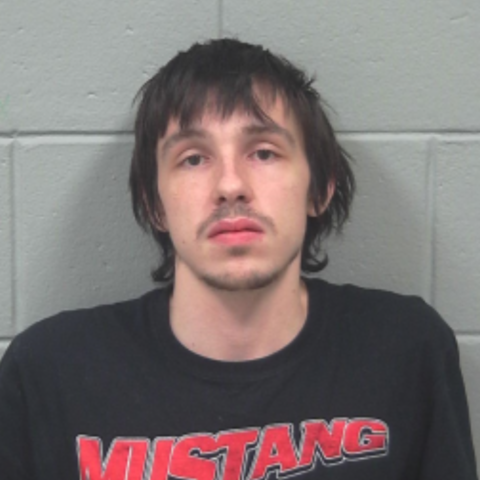 Adam Turner, 21, of Millinocket is accused of setting three fires inside the Church of the Nazarene on Forest Avenue on June 20. DNA evidence linked Turner to the crime, Stephen McCausland, spokesman for the Maine Department of Public Safety, said. McCausland said there is no clear motive to the fire and Turner had no affiliation with the church. The damage to the church was estimated to be $60,000, he said. Turner was indicted Wednesday on the charges by the Penobscot County grand jury and taken into custody Thursday by Millinocket police. He is being held at the Penobscot County Jail unable to post $20,000 cash bail, said Stephen Burlock, assistant district attorney for Penobscot County. Turner is next due in court April 8. If convicted, Turner faces up to 30 years in prison and a fine of up to $50,000. He also could be ordered to pay restitution.